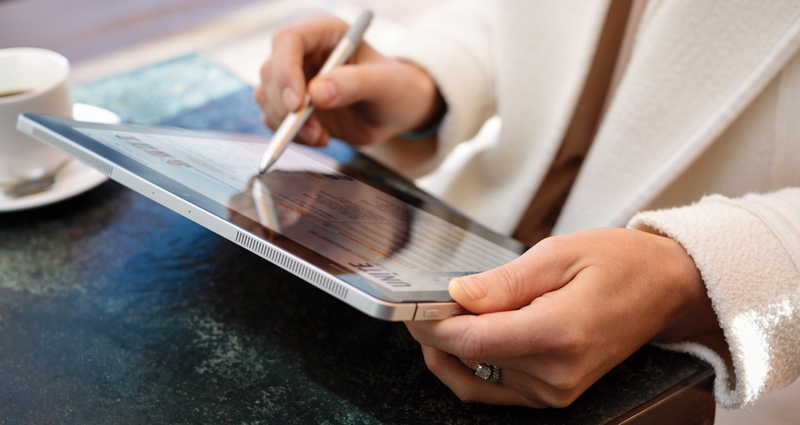 HP has announced the second generation of its Elite x2 1012 2-in-1 detachable PC designed for commercial applications. The next-gen system not only gets more powerful Kaby Lake SoCs, but has also seen improvements across the board compared to its predecessor: it now has a larger display with a higher resolution and brightness, two times more DRAM, up to a 1 TB SSD, Thunderbolt 3, a higher-capacity battery, enhanced security features, and other advancements. Despite all the upgrades, HP has managed to maintain thin profile and low weight of the Elite x2 1012 G1. 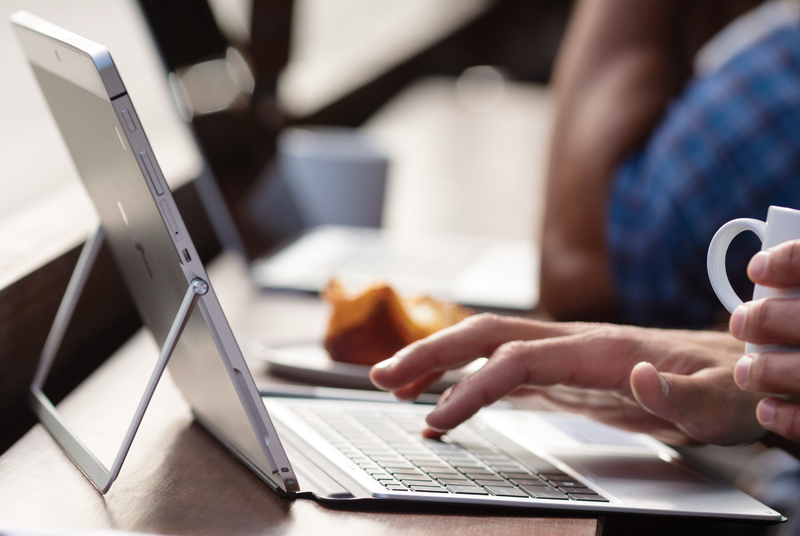 When it comes to Elite x2 systems, HP shares the “power of a notebook, flexibility of a tablet” philosophy and acts accordingly — equipping them with powerful hardware, but minding portability and keeping the weight of the tablet itself at around 800 grams. The company is positioning the Elite x2 1012 G2 as a fully-fledged replacement for executive laptops, so the new units feature notebook-class Core i5/i7 7000U-series CPUs and can be equipped with virtually every modern technology found in mobile PCs, including 4G LTE, WiGig, a fingerprint reader, Thunderbolt 3, an audio sub-system co-developed with Harman Kardon, and so on to make them suitable for various use cases. Moreover, the Elite x2 1012 G2 can be serviced quite easily — a benefit for experienced users and IT departments. Internally, the HP Elite x2 G2 is based on Intel’s Core i5/i7 7000U-series SoCs, which feature the Kaby Lake microarchitecture along with the HD Graphics 620 (16 EUs, Gen 9) iGPU. This is a clear improvement over the Elite x2 G1 that run SoCs with lower frequencies and with an iGPU with fewer EUs (12 EUs). The Elite x2 system comes with 16 GB of dual-channel LPDDR3 memory (not upgradeable) and an M.2 SSD with a SATA or PCIe interface and capacities ranging from 128 GB to 1 GB. When it comes to communication capabilities, the Elite x2 can be equipped with a selection of wireless controllers, from a “basic” 802.11ac 2×2 Wi-Fi + BT 4.2 controller to something more powerful with WiGig and/or 4G LTE. Among external ports, the Elite x2 G2 offers one Thunderbolt 3 (USB Type-C) header for data, charging, external displays, etc. ; one USB 3.0 Type-A; a microSD slot as well as a TRRS connector for headsets. Meanwhile as the Elite x2 G2 doubles as a tablet, system is equipped with a host of sensors (accelerometer, gyroscope, magnetometer, etc.) and is compatible with styluses. It also has rather powerful imaging capabilities: on the front it has a 5 MP RGB camera coupled with an IR sensor, on the backside it features an 8 MP sensor with a LED flash. Also found on the backside is the system's fingerprint reader. 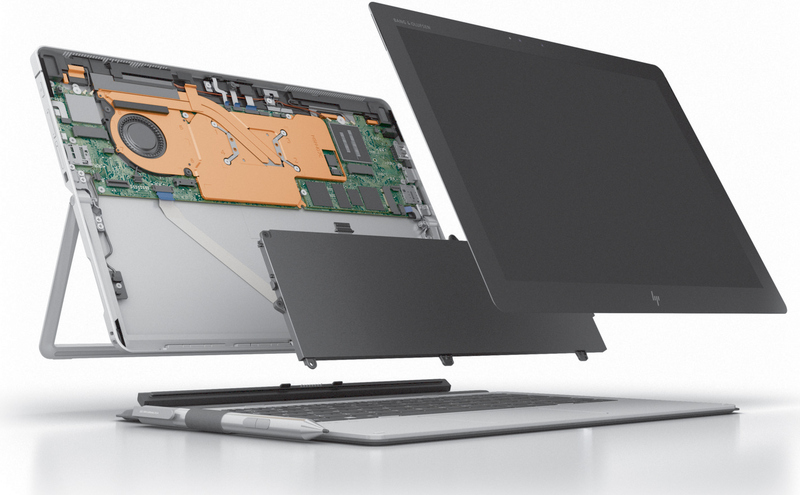 As for the chassis, the HP Elite x2 1012 G2 uses a similar — but not exactly identical — body as its predecessor. The new 2-in-1 laptop is made of aluminum; HP does not reveal the exact alloy, but it should be something durable, like the Aluminum 6061 alloy used for the Pro x2. Due to major changes of the internal architecture, the thickness of the new tablet has increased to 9.1 mm/0.36” (from 7.6 mm/0.3”), but the weight of the tablet has remained at around 800 grams/1.77 lb. Meanwhile, the display of the new Elite x2 G2 has improved significantly: the diagonal size has increased to 12.3” due to thinner bezels, its resolution has improved to 2736×1824 pixels, and the brightness is now rated for 450 nits. Corning's Gorilla Glass 4, which is used for numerous other HP products as well, protects the screen of the Elite x2 G2. Speaking of the weight and dimensions, and given the positioning of the HP Elite x2 G2, it makes sense to compare it to ultra-thin laptops. As it appears, once the Elite x2 G2 is equipped with a keyboard, its final thickness is 14.6 mm (0.57”), which is thicker than many contemporary notebooks, especially those based on lower-power CPUs. 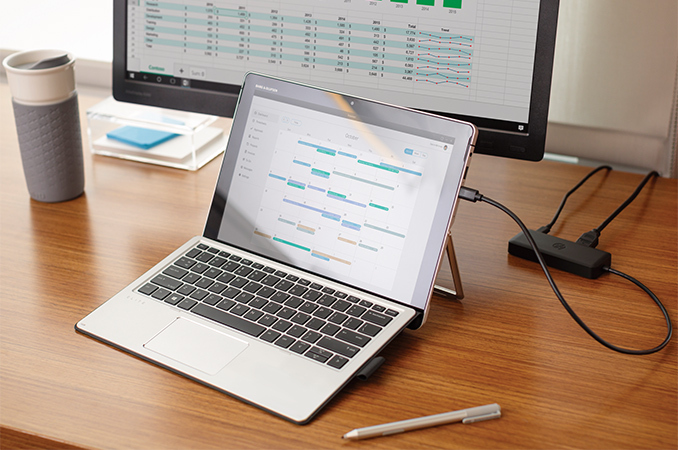 Clearly, the HP Elite x2 G2 has multiple advantages when compared to such mobile PCs (e.g., display resolution, connectivity, higher-capacity battery, form-factor, performance, security, etc. ), but the ultimate portability will not be one of them. 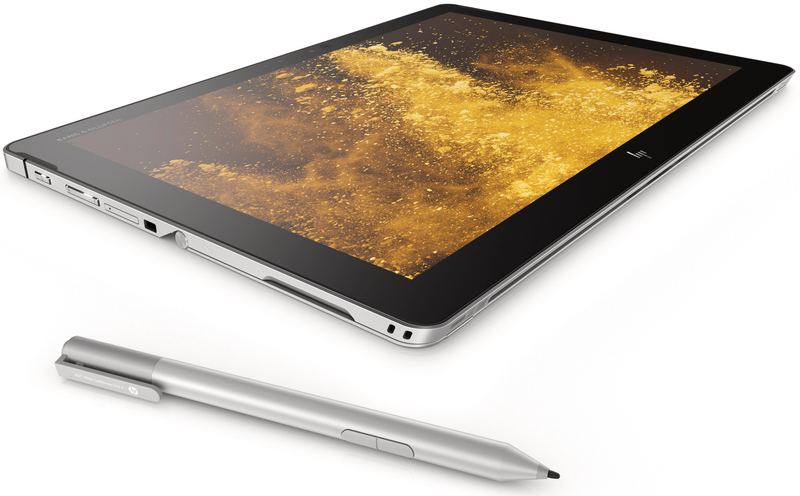 LCD Diagonal 12.3" 13" 15" 13" 13.3" 12"
The HP Elite x2 1012 G2 will be available sometimes in July. The MSRP of the entry-level model is expected to be $1099, but to take full advantage of the platform, one will need a more advanced SKU, which will come at a higher price.